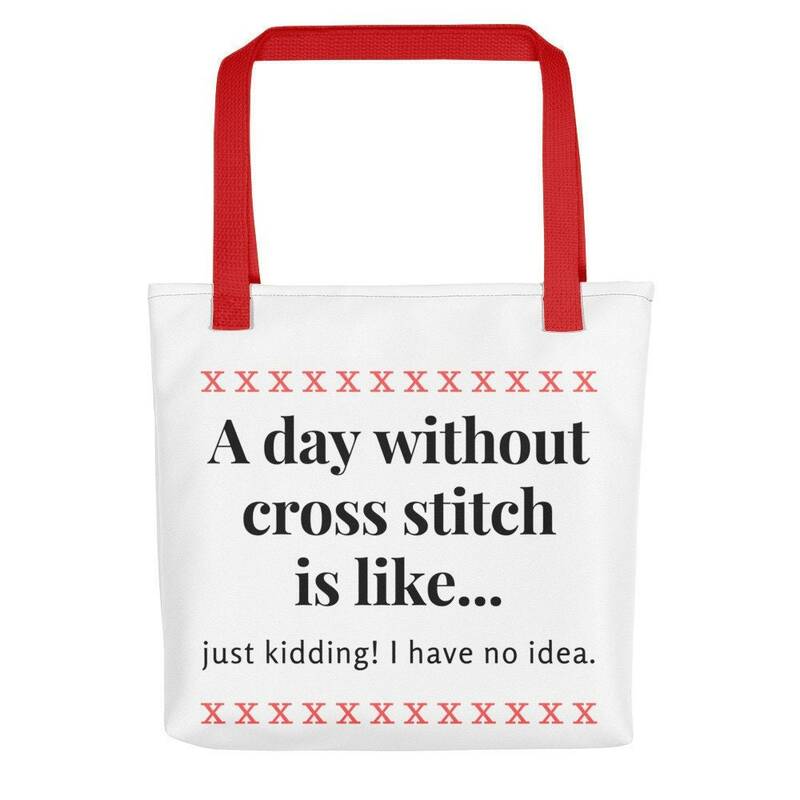 If you're a cross stitch fan, then this bag is for you! Make a statement wherever you go with this original design by The Cross Stitch Studio. This funny canvas tote bag helps you carry around everything that matters - but most especially cross stitch craft supplies. :-) Makes the perfect birthday or Mother's Day gift, too!